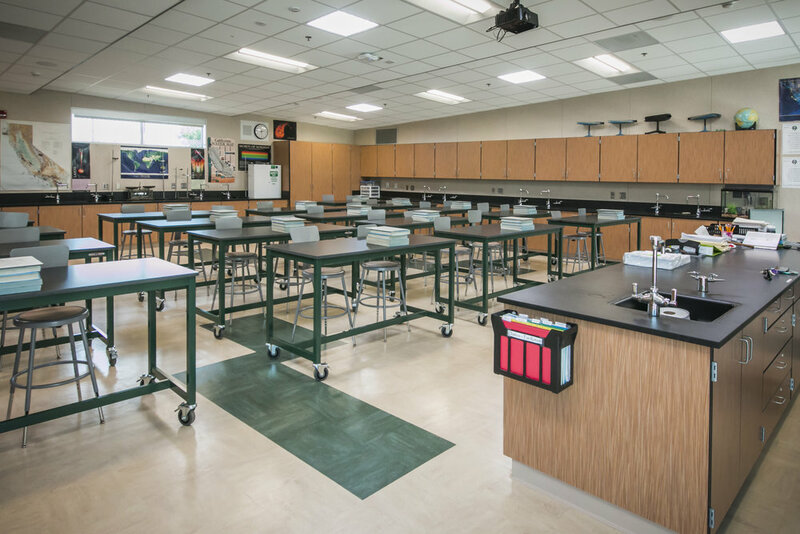 Responding to a District request to break the norm of the same old, same old, the new CTE wing as Manteca High School is a mixed spaced of learning labs, coupled with physical science labs, including full fume hoods and technical science amenities, as well as traditional classrooms, but with a more modern aesthetic. Totaling just over 10,000 sf this wing replaces a series of modulars that were literally falling apart and unusable. 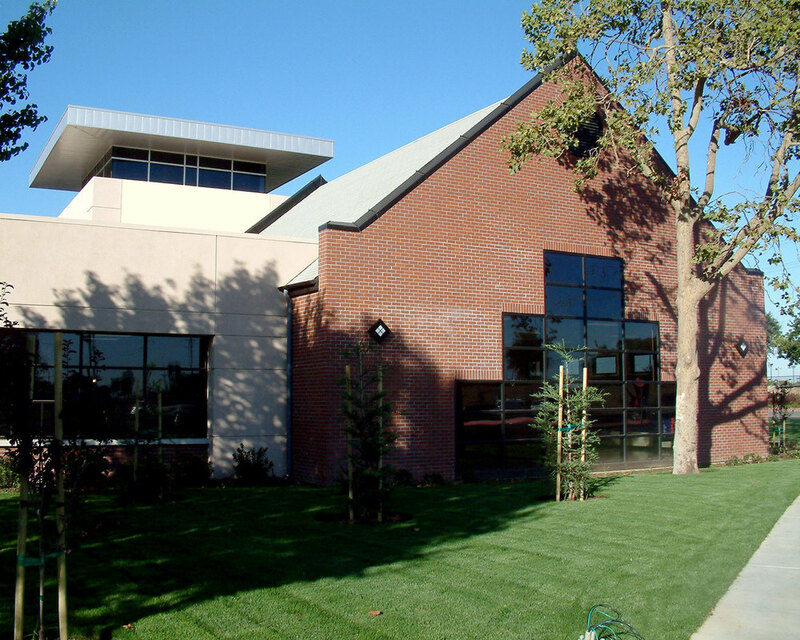 LDA Partners was chosen to design the Frank and Eva Buck Memorial Hall for the Conservatory of Music for the University of the Pacific. This project represents the conclusion of the original campus master plan developed in the 1920’s. 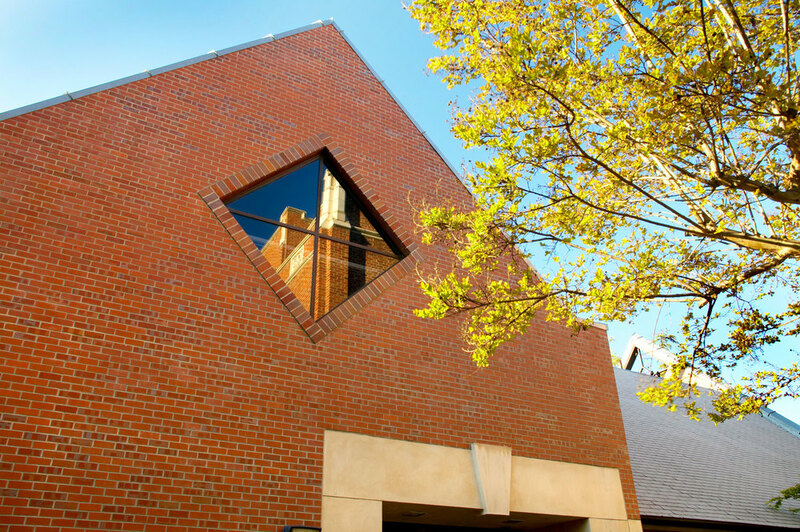 Respecting the historical nature of the campus and award winning design standards, the building incorporates both traditional and modern design elements. 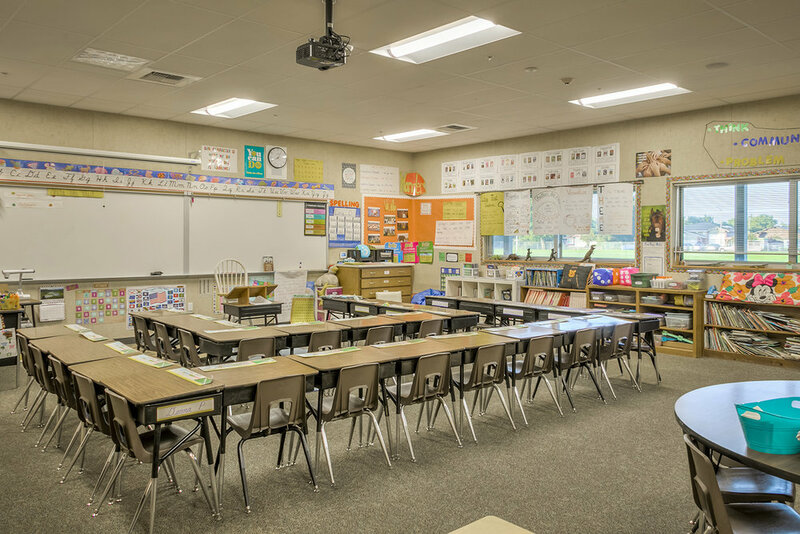 It includes two large and two mid-sized classrooms, twelve teaching studios, conference room, and support functions. 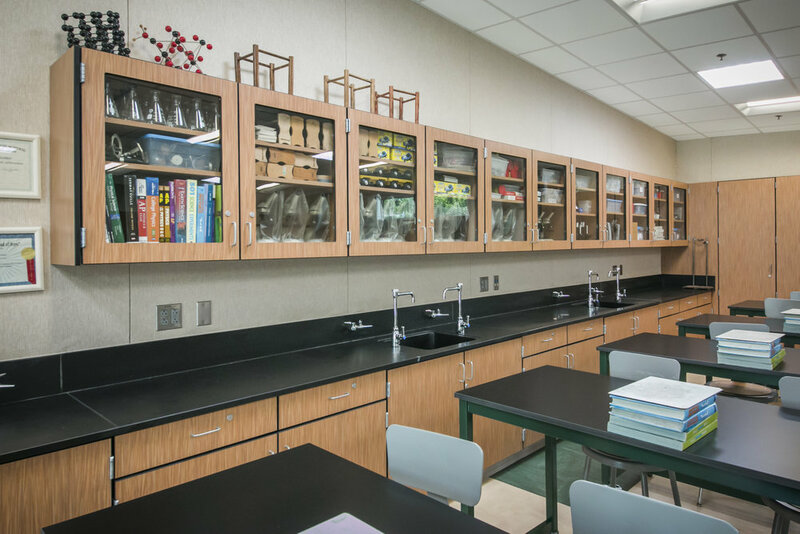 It also includes vocal and instrumental classrooms and studios. 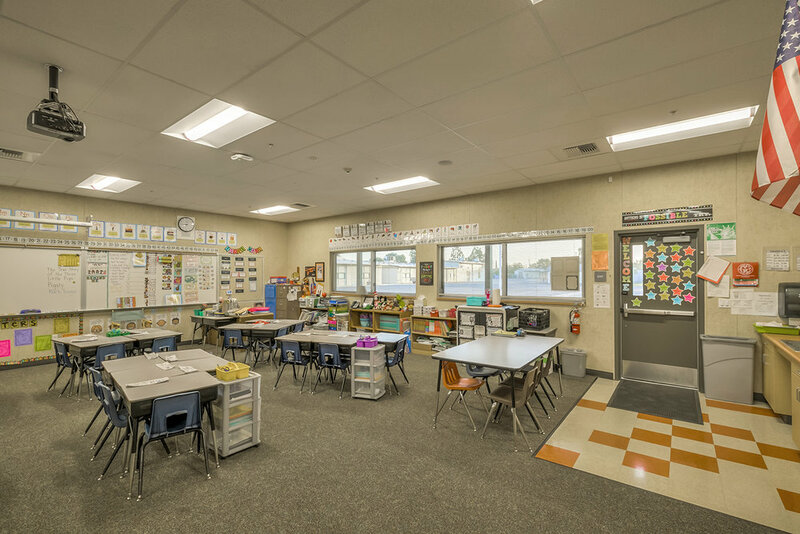 Acoustical and performance qualities were critical – including minimizing sound transmission between spaces while at the same time providing performance level sound quality in designated spaces. 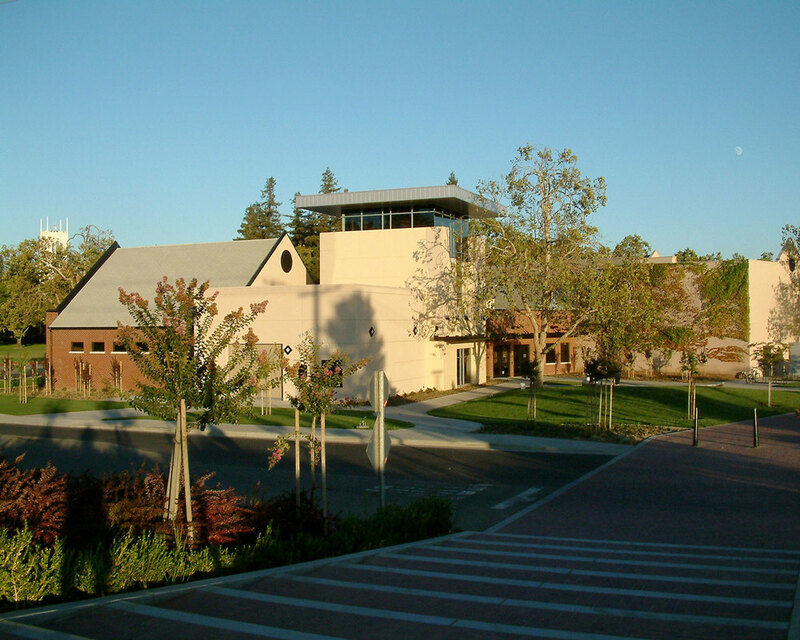 After years of the UOP Alumni Association and Board of Regents contemplating the design of a new Alumni House, LDA was brought in to execute the project. Housing artifacts and memorabilia relating the history of the University, this project included many stakeholder groups with differing opinions as to how a new Alumni House should be designed. LDA brought all stakeholders together, facilitating discussions to reach consensus. The resulting design responds to the architectural heritage of the campus and exemplifies the features of the collegiate gothic design style. This historically correct yet modern building achieved LEED Gold certification and is a destination for students and alumni alike. 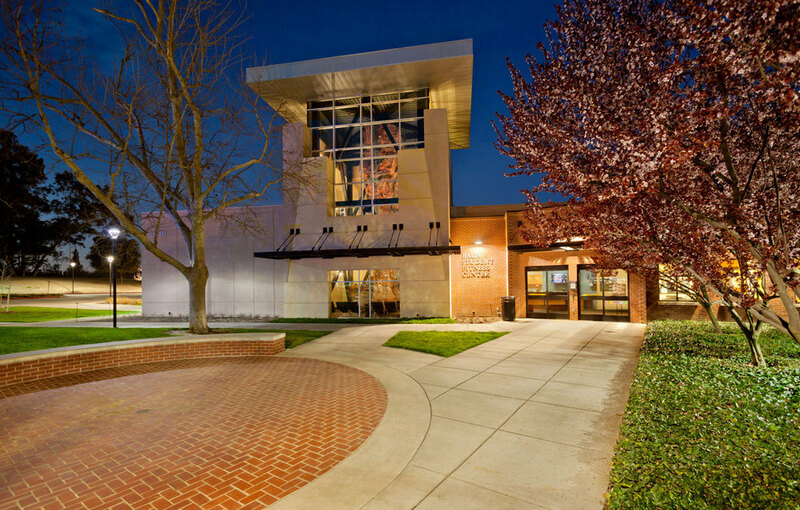 The Regional Environmental Study Center (RESC) has become a showcase for teaching and training about sustainability, energy consumption and other aspects of what it means to be environmentally conscious in today’s world. 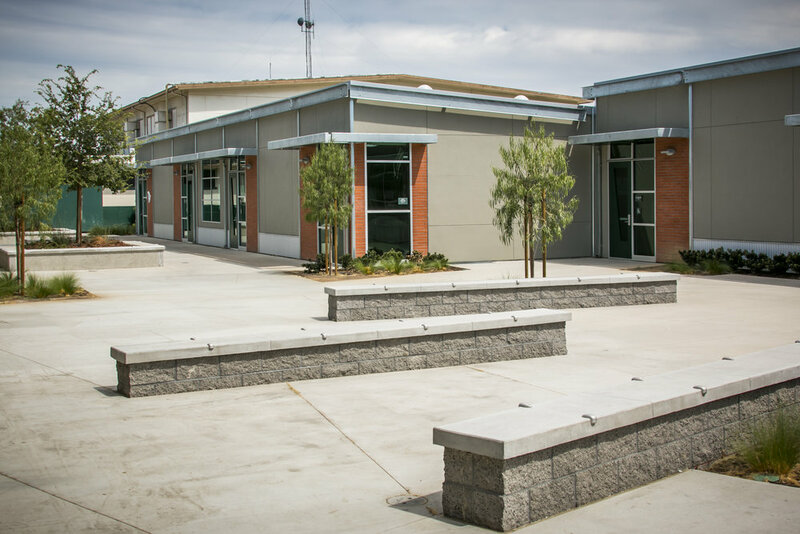 This 3,000 SF modular building was a collaboration between LDA, American Modular Systems and the Manteca USD. Through careful guidance, LDA was able to bring competing ideas and input together to create this sustainability showcase for the district. 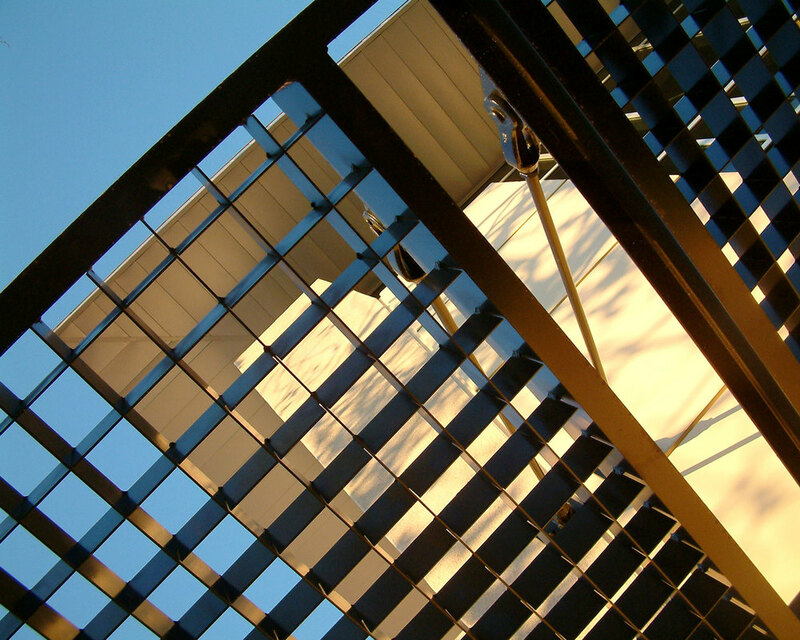 Specific educational classes and training are provided, addressing energy consumption/reliance, use of rainwater for irrigation, solar, natural sun shading, and demonstration of eco-friendly materials and systems: low flow fixtures, low VOC materials, energy star appliances, LED lighting and auto sensors, solar hot water, and radiant barriers. 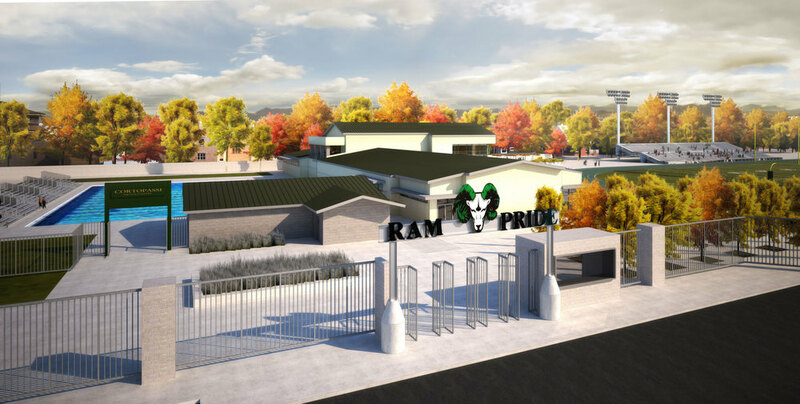 The 450 SF press box replacement at Lincoln High School’s A.G. Spanos Stadium presented quite a design challenge. The previous press box sat elevated above a 10-foot wide berm which also served as the main entrance pathway to the stadium. A large stadium light pole also runs directly through the press box location. 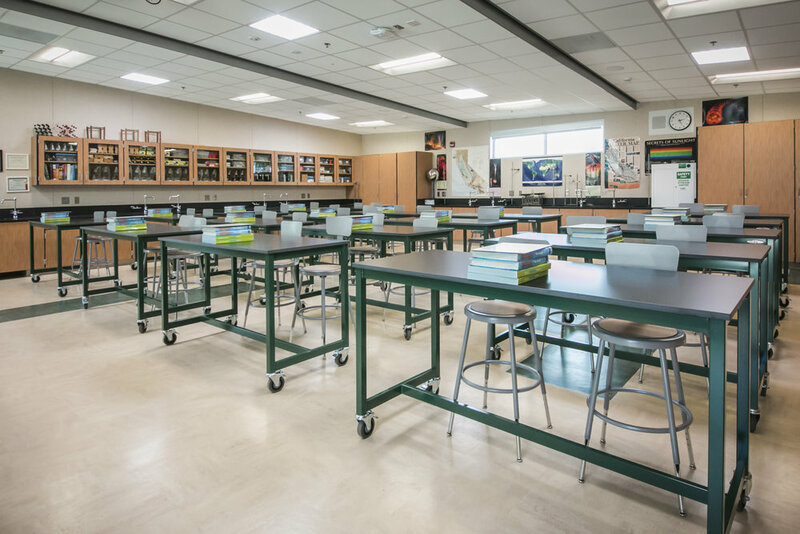 Access compliance was paramount because this is a school and joint-use community facility. LDA’s creative design includes a cantilevered structure that wraps around the light pole, has fully operable windows allowing occupants to better experience the open-air sight and sounds of the game yet provides shelter from inclement weather. The press box glazing is also canted 10 degrees for improved visibility and glare reduction and includes a state-of-the-art public address system. 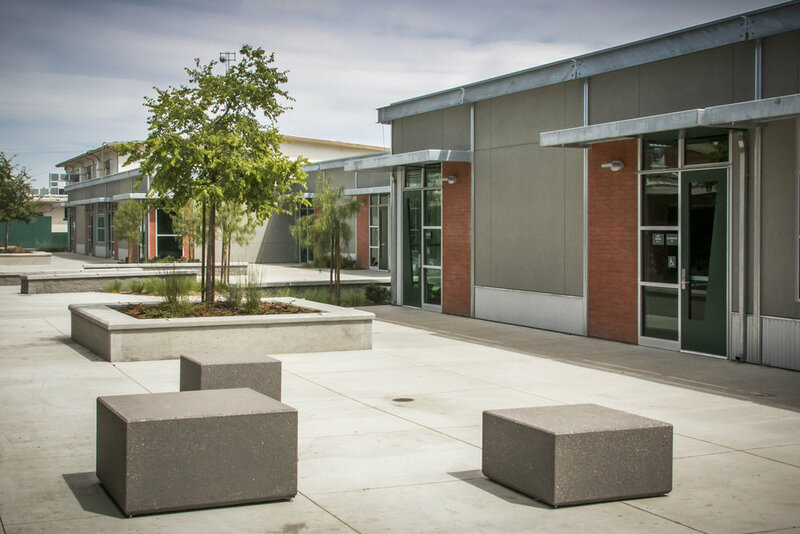 The LDA design has become an iconic symbol of both Lincoln High and the district at large.